on the hometown Christmas Bird Count we had a horrible weather day and I am pretty sure the birds were looking out from the bushes asking what they humans were doing out in that crazy weather. It just so happened that we got a break in the weather into the last hour and a half of the count. 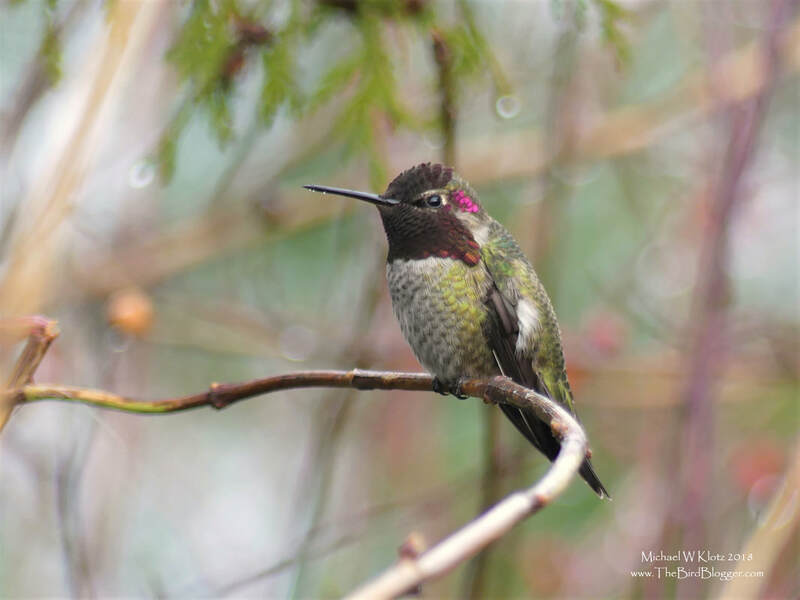 This wonderful little Anna's Hummingbird was standing guard on two feeders in Murrayville and I was able to catch a shot of the last bit of light shining off his gorget, or throat patch.